The next Bicycle Advisory Council Facilities Committee meeting (BAC-FAC) is Thursday, February 18, 2016 from 6PM - 8PM at Union Station. The primary topic of discussion will be the proposed expansion of Union Station and its impact on bicycling facilities. We will assemble at the bike parking facility at on the west side of Union Station, at First Street NE, near Union Station Drive NE, by the Bike Station. After a discussion of conditions, we will proceed to Pizzeria Uno, on the second level, for the rest of the meeting. 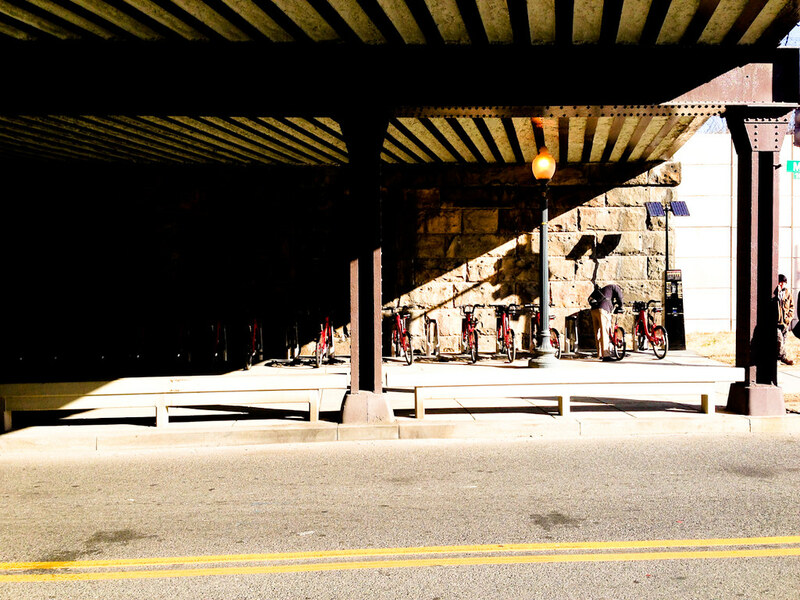 Discussion of the current conditions of the existing bicycle parking at Union Station and Station's development plans as discussed at the Federal Railroad Administration's initial Public Scoping meeting held December 7, 2015. Discussion bike parking at Union Station. Discussion and consensus of preferred options for the proposed north/south corridor for eastern downtown. If you were unable to attend DDOT's public meeting to see the alternatives, covered here. Discussion of traffic patterns around Union Station. Please let the chair of the committee, Jeanie Osburn, know if you plan to attend to ensure a reservation for the correct number of meeting attendees. If you cannot attend, please place your comments below or let us know by Twitter @DCBAC.